This map shows the route for a group ride on January 29, 2011. 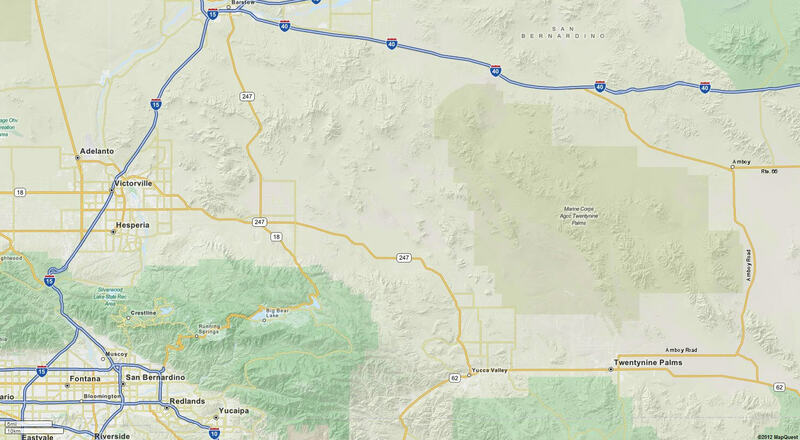 The 334 mile loop through the Mojave Desert took us from the Inland Empire (Riverside and San Bernardino) on Route 60, Route 62 through Yucca Valley, Joshua Tree, Twentynine Palms, Amboy Road to Amboy, Route 66 through Bagdad, along I-40 to Barstow, I-15 through Victorville, then down the Cajon Pass to the Inland Valleys. It is a good long ride, but on that particular day I was more focused on the camera I was playing with than the ride. The photos on this page were made on an outdated (11 years old, gasp!) digital camera, the Kodak DC3400. The DC3400 was a 2.0 megapixel camera, which was a big improvement over the 1.0 megapixel cameras of the time (around the year 2000). For more information on the DC3400, see Slow Photography. Testing out the black and white, I snapped the photo here at a gasoline station in Riverside after setting the camera to –1 stop exposure compensation. It was a very bright day and I didn’t want to wash out the sensor on the Kodak, a tendency it had in very bright conditions. The photo here was taken at the roadside on Indian Canyon Avenue in North Palm Springs. Indian Canyon Avenue runs parallel to the first few miles of route 62 toward Morongo Valley. We usually take it to go around 62 since it is considerably less windy. 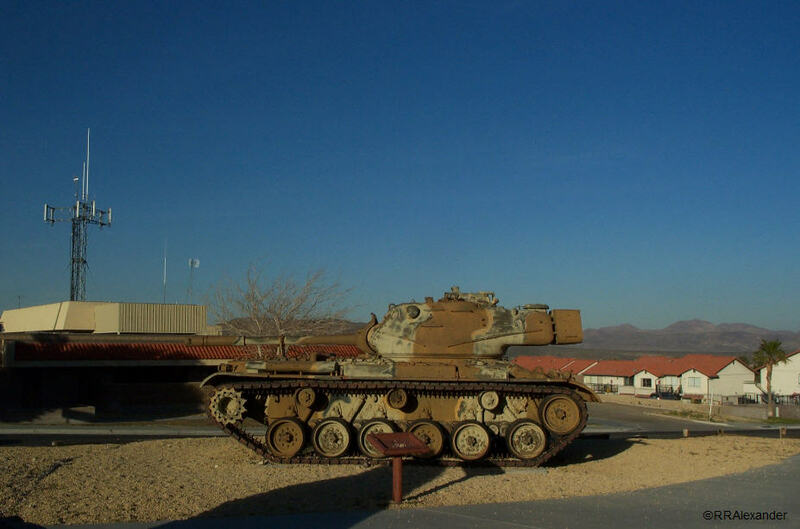 This was made at a roadside pullout in the pass through the Sheephole Mountains between Twentynine Palms and Amboy. The view beyond Mike Harmon (left) and Dan Underwood (right) looks down toward Bristol Dry Lake and the town of Amboy, many miles in the distance. 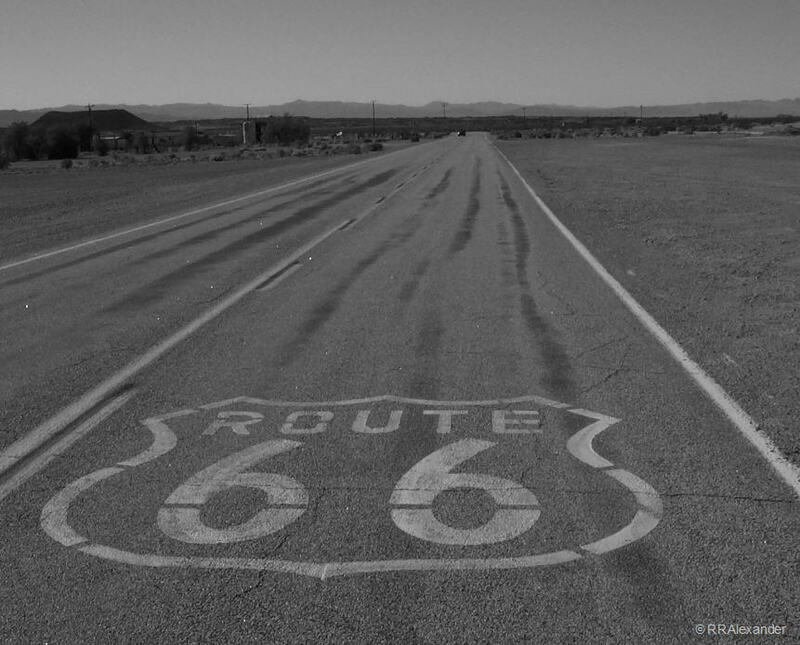 Just in case you don’t know what road you’re on, this symbol painted on the asphalt will let you know, so there’s no mistaking that you are on the famous “mother road”, Route 66, which runs through Amboy south of Interstate 40. This is a view to the west. Note that you can see Amboy Crater in the distance on the left. 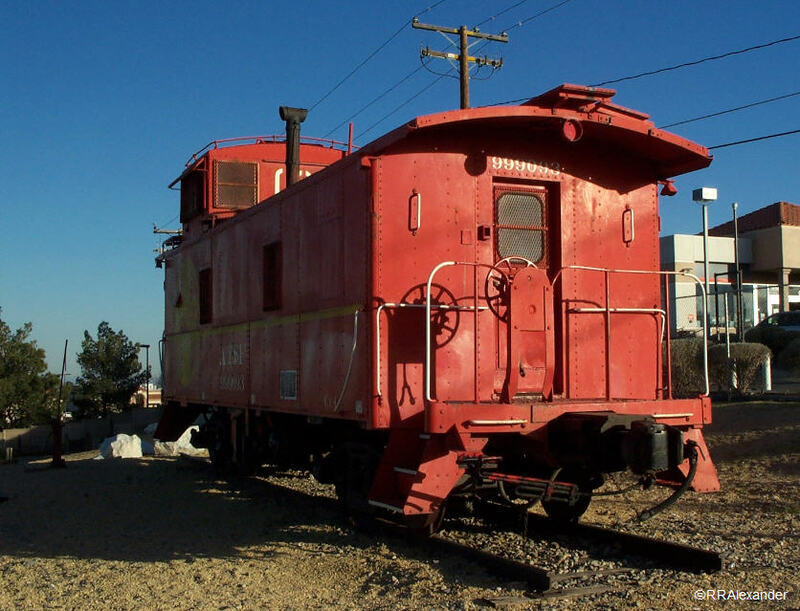 Below, both the tank and the ATFS caboose sat on display beside the gas station in Barstow where we stopped for the third and last tank of fuel for the ride.